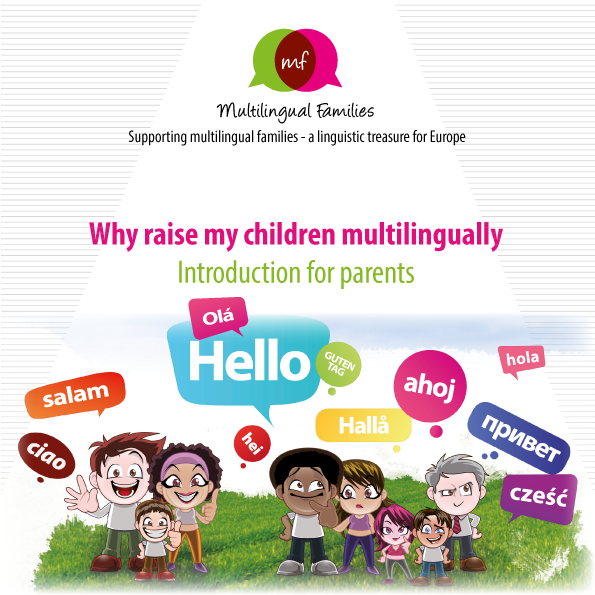 Here you can find information about raising children multilingually. Most of your questions should be answered in this information material. 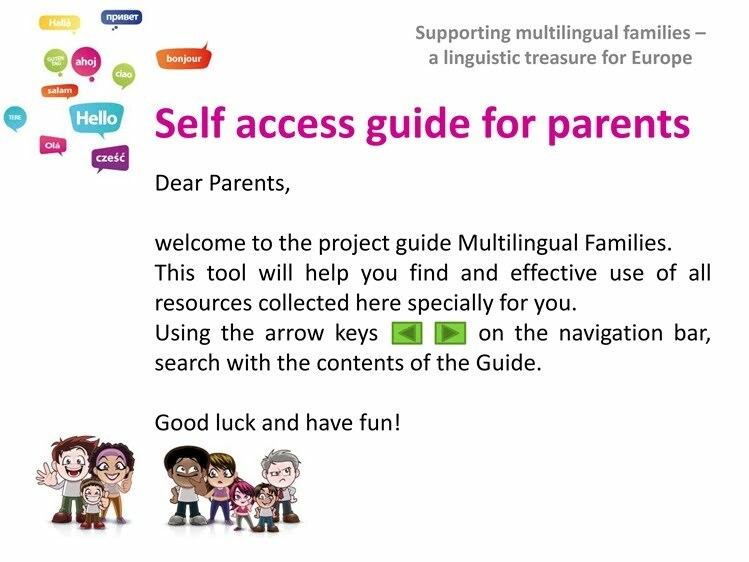 Available in 24 languages: Arabic, BKS, Bulgarian, Catalan, Chinese, Czech, English, Euskera, French, Galician, German, Greek, Hindi, Italian, Polish, Portuguese, Romanian, Russian, Slovak, Spanish, Turkish, Ukrainian, Urdu, Vietnamese. 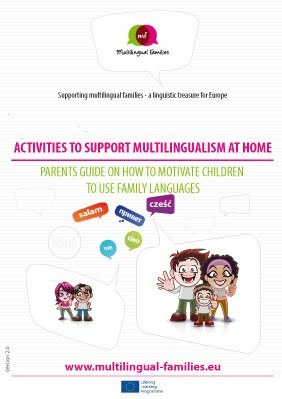 In this material you will find 30 fun activities to play and work with your children at home and support the use of family languages. Have a look and try them out. 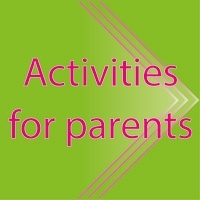 to frequently asked questions and a guideline to reflect your work with your children. 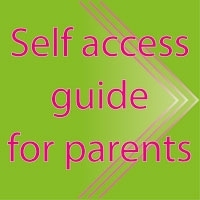 You can select your own paths through the guide according to the information you need. Available in 18 languages: BKS, Bulgarian, Czech, English, French, German, Greek, Hindi, Italian, Polish, Romanian, Russian, Slovak, Spanish, Turkish, Ukrainian, Urdu, Vietnamese.